You don’t have to be a trendy Instagram influencer to know the importance of your #brand. Whether you’re running a business, nonprofit or school, chances are you have a specific look that represents your organization. Keep your sign ups focused when you customize them with your organization’s logo and colors. Business events such as training and volunteer outings, sign ups where employees can purchase company swag, and more. School or PTA sign ups, from lunchroom volunteer schedules to class party duty delegation to fundraiser coordination. Nonprofit volunteer organizing, for events such as breakfast meetings or logging volunteer hours. Local government initiatives, such as community engagement programs, volunteer responders after natural disasters or voter registration volunteers. College and university sign ups, from residence hall events to career center advising to student organization programs. Ready to customize your sign up theme so it visually represents your brand? There are a couple of ways you can do it. To design your own custom theme, log in and go to Tools (on the left side of the page). Select Custom Themes and create a theme with your logo, photos of your organization or anything that creates a branded look. Genius Tip: Need a whole primer? Check out this guide to designing custom themes. To add your own logo or image to one of our basic themes, choose a theme in Step 2 when you’re creating a sign up and check the box next to, “Use my own custom image with the selected theme.” That theme will serve as the background colors around your image. It’s easy to customize email reminders and confirmations so they clearly have your organization’s look. Start by logging in and going to Messages (also on the left side of the page). Click Compose and then choose the Email Template tab, available with premium plans. 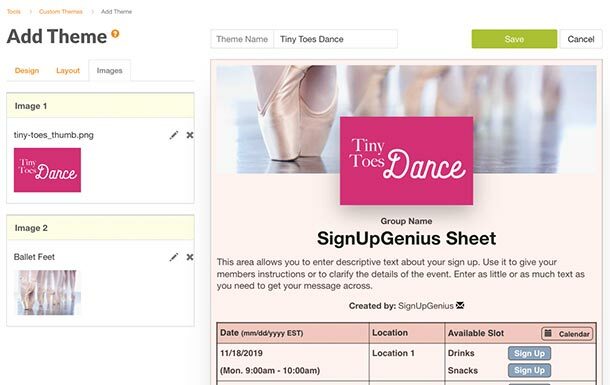 You can create a reminder or confirmation email template, type a custom message and choose whether you want the email to have the same theme as your sign up. You can also use the Messages area to send themed emails whenever you need to communicate with your participants. If you have a premium plan, simply choose your theme when you click “Preview & Send.” Recipients will get an email with your customized look and message! You can gather information specific to your organization’s event with custom questions. 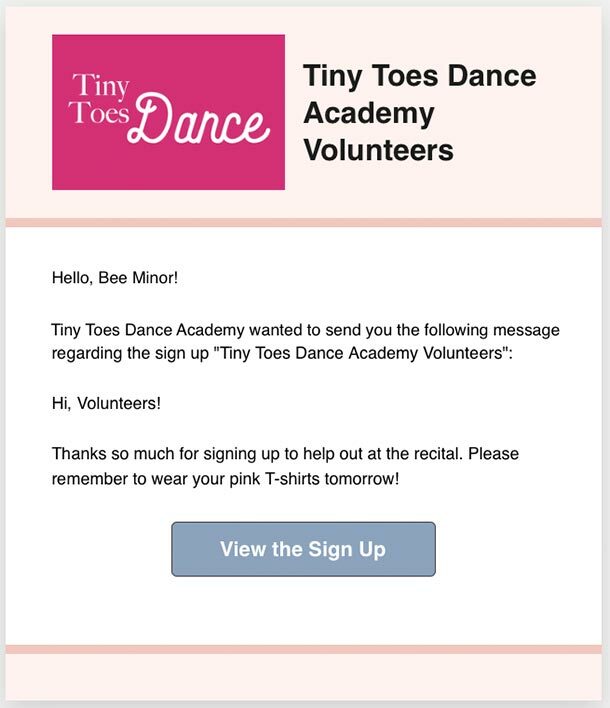 When a participant signs up, they will also be asked for any additional info that you need. Type in specific questions you need answered — such as T-shirt size or if they have any food allergies. 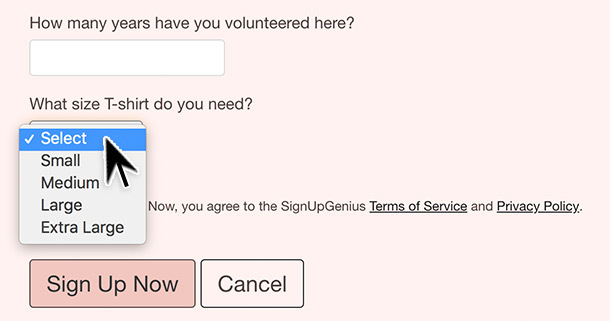 The answers can only be viewed by the sign up creator. Basic accounts receive one custom question, while paid accounts get between five and 25 depending on the plan level. Your participants will see the custom questions when they sign up. Voila! 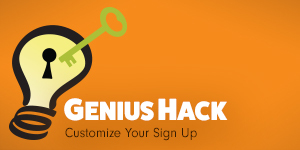 Sign ups that represent the visual flair and specificity of your organization. Get started repping your brand, genius!